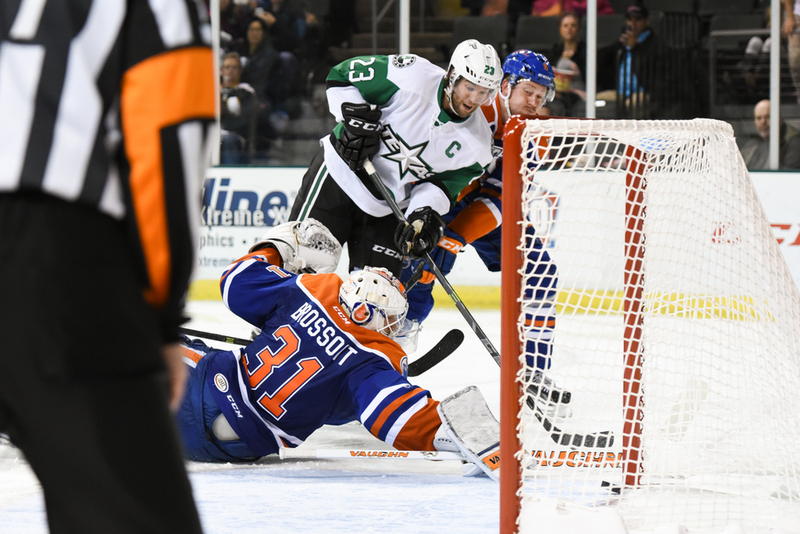 The Texas Stars took on the Bakersfield Condors last night at the Cedar Park Center. 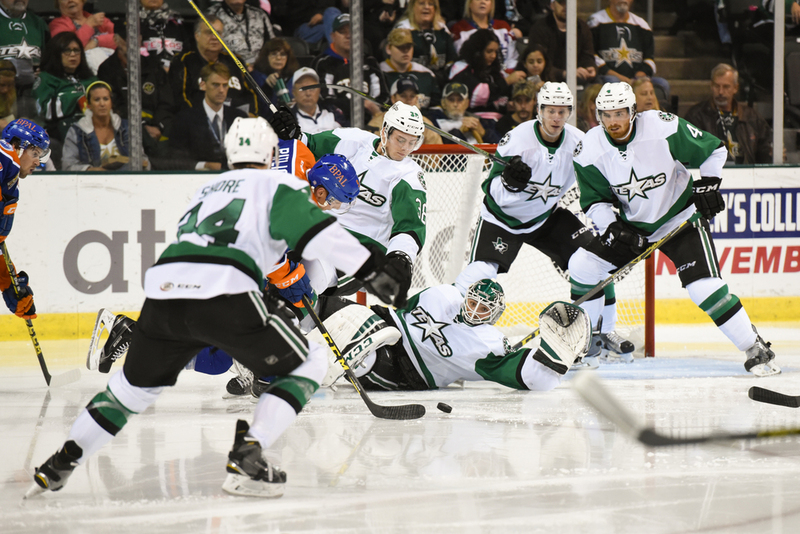 After a disappointing first period that left the Stars down by one, the Stars came back with a vengeance in the second to gain the lead with a with a series of goals that included a couple of short-handers. The first shot is a wall of defense backing Maxime Lagace to keep the puck out of the net in the second period. The second shot is a short-handed goal by Stephen Johns. You can see the puck entering the net at bottom left. The third shot is a goal by team captain Travis Morin as he gets the puck under the stick of the Condors' net minder.